In times of change, traditions that hold strong are to be admired. 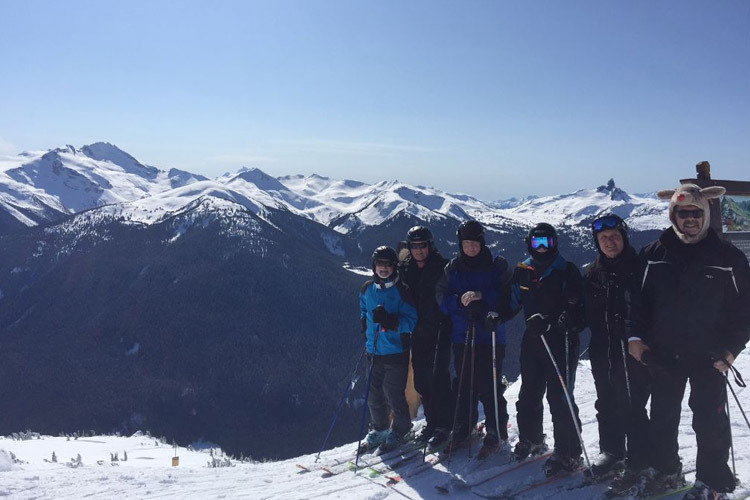 Enter the boys of the Black Velvet Ski Team (BVST), who made their 30th annual trip to Whistler in March this year. It’s safe to say their dedication to upholding this annual excursion has elevated them to the ranks of the legendary. Here at the Insider we’ve been tracking their trips for the last couple of years ( here’s the 25th, 27th, 28th and 29th reports) and marveling at the commitment these guys show to getting up here to the mountains every single year. While some of the BVST get together outside of the snow season for bike rides and birthdays, there’s a sense the trip to Whistler is something out of the ordinary, a time every year where they can get together on their own terms for turns, to converse on the chairlifts and generously share the stoke (and shenanigans) at their favourite après spots. 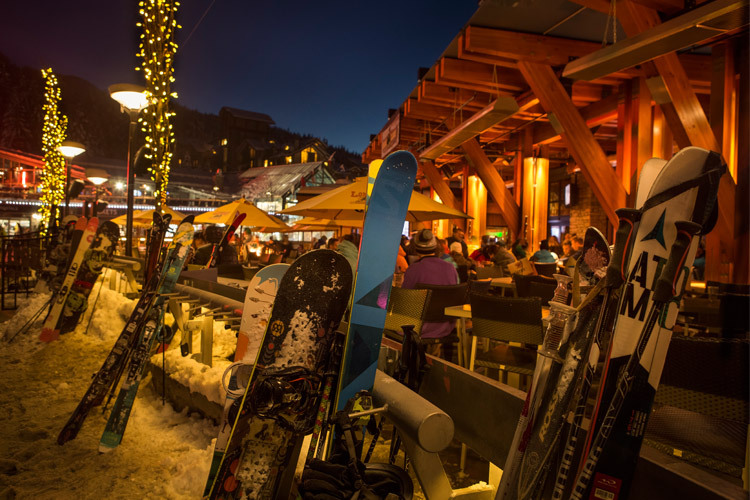 The result of the connections made and strengthened over the years are long friendships and a youthful, infectious energy that the crew brings and shares each year, which for many locals and visitors is what Whistler – the gathering place – is all about. 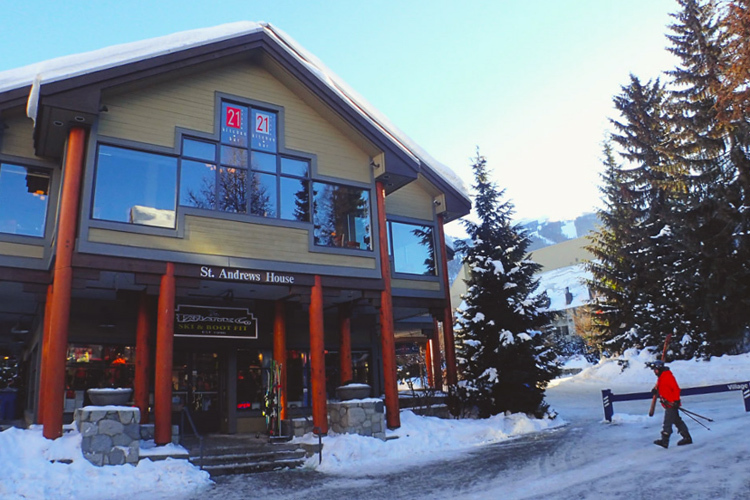 There’s no doubt Whistler the town has seen change in recent years, and with new shops and restaurants, new trails, new buses that say the stops out loud (it’s the future! ), a new gondola coming on Blackcomb Mountain, and a new suspension bridge on Whistler Peak visitors who come for the summer or the skiing will see the evolution continue. But if the Black Velvet Ski Team can teach us anything, it’s that core elements – pals and powder – carry traditions a long way (also useful – specially made, folding shot skis). When all is said and done, none of us are here for a long time. Take a leaf out of the Black Velvet manual, make time in the calendar, surround yourself with friends, and jump in and enjoy it. 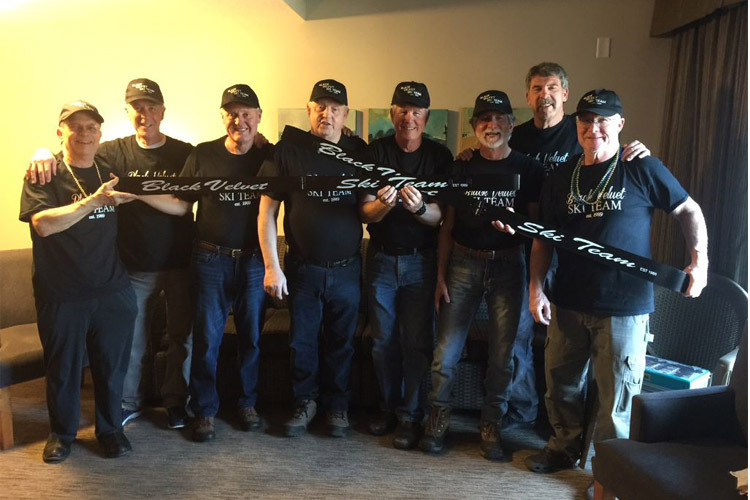 Here’s to the The Black Velvet Ski Team – returning to Whistler March 2019. See their 2018 Trip Report below for more tips on tradition. The BVST celebrated our 30th (!!!) annual Whistler trip March 9-12, 2018 in style. Our trips started in 1989 and have not stopped yet. We have a pact that the last man alive has to bring up our trophy bottle of Black Velvet up to Whistler and SALUTE the team. Along with this being our 30th trip, this was also our best skiing season we have had. Ski conditions were fantastic. The mountain was in awesome shape. Weather was blue skies and great snow for all four days. As soon as we got there, we changed in the garage and hit the slopes. 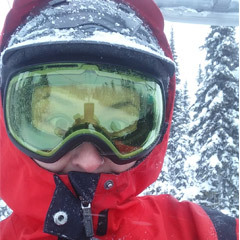 Whistler is definitely the best resort to ski in our world and we have skied a lot of resorts. Our units at the Whistler Inn & Suites were right in the village. Right next door to the Keg that we always eat at on our first night. After skiing the first two days, we meet at the Longhorn at 4.30 PM to cool down. Longhorn has been an awesome place for us for years now. The staff had a table reserved for us and decorated. As soon as we walked in, Adam the outdoor DJ announced the BVST is in the house. We brought our bag of tricks which included 2 new homemade FOLDING shotskis, brew board for beer drinkers, made out of a snowboard. Plus we wore new shirts, hats, and fleece that had EST 1989 stenciled on them. In addition over 300 bead strings were brought and we ran out. We also made 20 extra shirts and passed out to special people. To help celebrate, the Whistlers Mayor’s office sent Councillor Steve Anderson over for a meet and greet. Very cool. Thank you. The Longhorn celebration was great. We can only do 2 nights because it is pretty draining. After each night, brought another great day of skiing. Our friendship and tradition is our driving force. Some of us only see each other once a year but you wouldn’t know it. (thus the pic of 8 brother’s fist). We are already looking forward to our Mar 8-11 2019 trip. We, the Black Velvet Ski Team, just completed our 31st (!!) annual trip to Whistler. Once again, Whistler satisfied all of our wishes. There hadn’t been any new snow to speak of in days, but the mountain conditions were so fantastic you would think it had snowed several inches. Absolutely incredible. The blue skies and sunny weather were nice too. 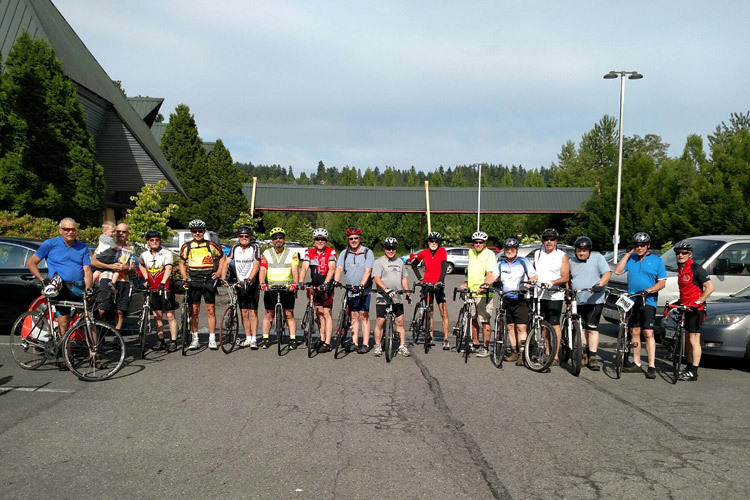 We gathered at the Longhorn Saloon & Grill on both Friday and Saturday afternoons like we always do. We’ve got to celebrate the trip with our homemade shot-skis and the Longhorn is the best place to do that. Great food, service and gathering. We were invited to attend the Downhill Derelicts opening ceremonies on Sunday. We met this group in (about) 2008 at the Longhorn. They are now in their 17th year and growing as a world-traveling group. They raise money for charities through donations, silent auctions, sponsors and events. 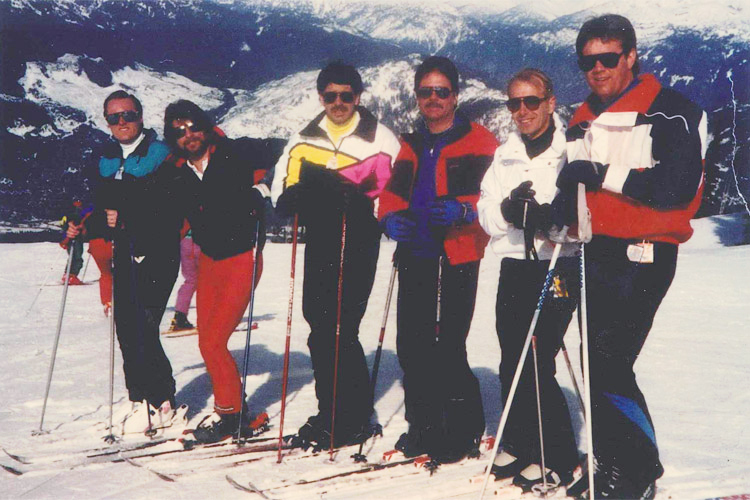 They told us that the Black Velvet Ski Team inspired them to continue. We were so impressed with what they are doing that we made a sizeable donation to their charity. The Black Velvet Ski Team will be back next year for our 32nd (!!) year. Our reservations are already made for March 13 – 16, 2020. Thank-you Whistler for a FANTASTIC time. 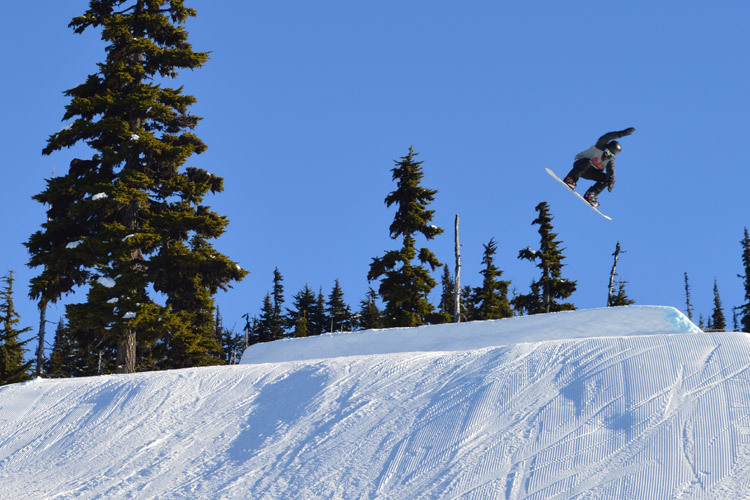 Kickstart your winter tradition in Whistler, and do it your way – find everything you need to know over at Whistler.com.